Are you sick of having to itch your scalp? Sick of dandruff? We understand! You’ve probably already tried countless remedies, only to have them not work, or work temporarily, but never truly get rid of the problem. We’re here to present to you the best shampoos for dry scalps. Each one is not created the same, which is why you should only be using the best! Let’s get started! Now that you’ve had the chance to do a quick lookover each of the best shampoos for dry scalp, why don’t you scroll down further to read in-depth about each of the products! Wondering how to get rid of dandruff? 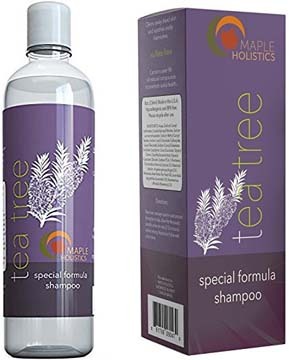 Do yourself a favor and check out the Maple Holistics Pure Tea Tree Oil Shampoo. Maple Holistics is a brand that truly cares about what they put into their product, and create products that really aim to help their customers. 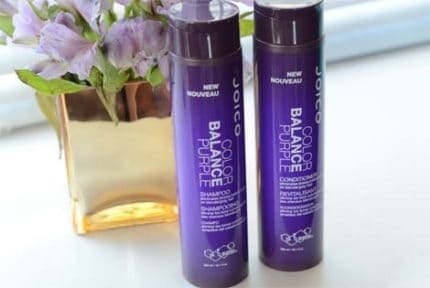 They have a wide range of shampoos, but this one is one of their top-sellers, and we can see why! Today, more than ever, people want natural shampoos. We love that this natural shampoo for dandruff doesn’t contain any parabens or any other potentially-harmful ingredients. While they may help lather up your hair, it doesn’t necessarily cleanse it any better. This shampoo addresses the problem of dandruff, dry scalp, as well as seborrheic dermatitis. Tea Tree Oil is the main ingredient responsible. It is naturally cleansing and helps to fight against harmful bacteria, yeast, and fungus, which is often the cause of itchy scalps. What else does it have in the formula? They’ve gone ahead and included essential oils, such as Rosemary, Lavender, Argan, and Jojoba oils. They are all a bit different, but altogether work to nourish and hydrate the skin and hair! We love this shampoo, for an array of reasons. One, is that the smell is very natural, and not at all overpowering like so many other dandruff shampoos are. Once you apply it to your hair, you can feel it working away immediately. The Tea Tree Oil really works to cleanse your hair and scalp well, and you can feel even while it’s wet, that it just feels cleaner. Everyone is different, but we only needed to use this amazing product a few times a week to see significant results. We even noticed a little boost in volume and much more hydration of the scalp, without making our hair greasy. 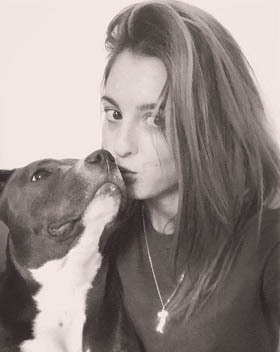 Aside from functionality, we appreciate the fact that their products are cruelty-free, sulfate, GMO, and paraben-free! The only downside was that it is a bit more expensive than most other comparable shampoos, however, we felt it was worth the price. Head and Shoulders is without-a-doubt the most well-known product when it comes to treating dry scalps and dandruff, so of course, we had to include their Dry Scalp Care on our guide! This is the best budget product out there for treating dry scalps, so if you’re looking for a great product without breaking the bank, then keep on reading. This shampoo is a bit different than the prior one, as it now includes Almond Oil for extra soothing and hydration. It works to manage/eliminate dandruff, just at the first wash, alone! Not only that, but it helps to reduce dryness of the scalp and any consequential itching. It does lather very well, and is quick and easy to use. This bottle works to cleanse and condition, which is kind of why it’s called a “2-in-1”! We did enjoy this product, although, it wasn’t our absolute favorite. As previously mentioned, however, if you’re on a budget, this is the best way to go. The consistency is a bit creamy; not too thin, and not too thick either. It lathers up very quickly and makes your hair feel thick and sudsy. It’s definitely a nice feeling, as you really feel it deep-cleaning your hair and scalp. We found that the most successful way to go about things was to leave it in our hair for at least three minutes. It helps to soothe the scalp and do its thing, so turn on some music or daydream while you’re waiting. The downside to the sudsing? That it does contain parabens and phthalates. We don’t really know how to describe the fragrance. It smells fresh, with a tiny hint of nuttiness. It’s not overwhelming and honestly does smell quite pleasant. One of the best shampoos for dandruff today, is the Nizoral D Anti-Dandruff shampoo. As you probably know, there isn’t just one cause of dandruff. It can be from something that’s more easily-treatable, like dry skin, or something like a fungi or bacteria overgrowth. If it is the latter, then many shampoos that treat dandruff aren’t going to work. This one does, and it works very well. 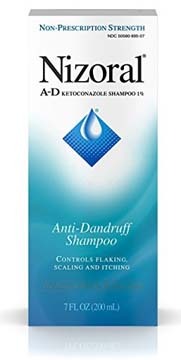 The secret to this dandruff shampoo being so effective, is the 1% solution of the anti-fungal, Ketoconazole. It works to fight against the naturally-occurring fungi on our scalp, helping to regulate it. If there is an overpopulation of this fungi, it can cause scales and large flakes, causing some intense dandruff and itching. It’s so effective, that you only have to use it twice a week. If you’re looking for the best dandruff treatment without getting a prescription, this is truly one of the few that is really effective. In fact, many doctors highly recommend this bottle due to how effective it is. No one wants their hair to smell or look unpleasant! The Nizoral scent is very clean and fresh, and leaves your hair smelling and looking rejuvenated and thoroughly-cleansed. Despite how effective it is, it’s gentle enough to use on any skin type; including sensitive skin and chemically-processed hair. The shampoo is pearlescent and luxurious-feeling. It’s not too thick, nor too thin, and lathers up very well. Despite how well it lathers, it’s actually free of parabens, which makes us love the product even more! We also enjoyed the fact that instead of washing our hair every day, we could take it down to just two times a week, and actually have cleaner hair! That saves a ton of time in the morning trying to get ready. After washing, we felt a huge improvement in how clean and soft our hair was. It was interesting how it seemed to hydrate the scalp and hair without making either one oily. Now, let’s talk about the “cons”. The only real one, is the cost. It is a pretty small package, and is relatively expensive for the cost. However, it is such an amazing product, that people (including us) still go crazy over it. Neutrogena is a world-renowned brand that consistently makes high-quality products for the skin and hair. 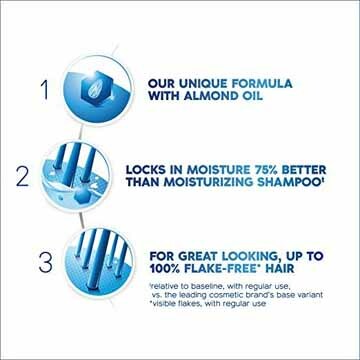 Their T/Gel Original Formula Therapeutic Shampoo is truly one-of-a-kind, and we’re here to tell you why! The dermatologist-recommended formula works to get rid of dry or itchy scalp. Rather than just addressing hydration issues, it also treats dandruff, psoriasis, and seborrheic dermatitis. It is made for daily use, however, if you’d just like to incorporate it into your normal routine, perhaps once a week, it will yield results for most consumers. The shampoo isn’t the prettiest, nor does it smell the nicest, and that’s due to the inclusion of neutar solubilized coal tar. It’s an anti-fungal, anti-inflammatory, and has antiseptic properties. In fact, it’s even recommended by the National Psoriasis Foundation! Does this dry scalp shampoo work? Yes. Is it pleasant to use? Not really. As much as we loved the results of this product, the smell is just hard to handle and pretty much impossible to escape from. However, if you’re serious about getting rid of your itchy scalp and/or dandruff, then know that it is worth it. It’s a very inexpensive option, and is effective. It did provide instant relief, and controlled dandruff all day long. Even after four weeks, just using it once a week was more effective than so many other products we’d tried. The dermatologist-recommended shampoo will clear your scalp, stop the itching, and start repairing just after a couple uses. Keep in mind that if you use it too often, it will actually make symptoms worse, so don’t be afraid to be frugal! Something that many store-bought dry scalp remedies are lacking in are all-natural ingredients. You probably already know our love for ArtNaturals, and there are many reasons why! The brand consistently produces high-quality, effective, natural products that don’t contain parabens and phthalates, and are cruelty-free! Coal tar is great for healing itchy scalps, and address many sources of the itchiness. 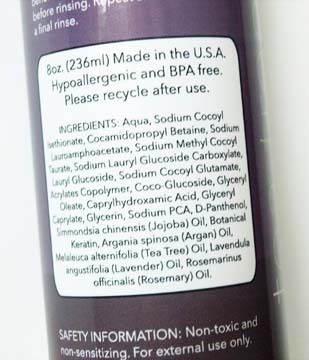 This shampoo features 3% coal and tar formulation, which works to reduce cell reproduction, as well as get rid of any dead skin (flakes/dandruff). If you have psoriasis or seborrheic dermatitis, it will also address and treat those. Not only does it have coal tar, but also Jojoba and Argan oils, which smooth and hydrate the skin and scalp! The powerful, yet gentle shampoo rushes relief from all of the itching, scaling, and scratching. Essential oil extracts repair split ends, while restoring dry/damaged hair to being soft and supple. 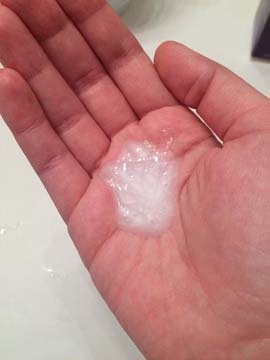 This natural, organic dandruff shampoo was one of our favorites. It is also probably the best coal tar shampoo out there, with just the slightest hint of a tar smell. Thanks to a bunch of different oils, it’s almost completely masked, and now just smells very herbal and fresh. Moroccan Argan Oil, Jojoba Oil, Lemon Oil, and Cypress Oil are all included. While they each have their own individual benefits, they all work together to moisturize, cleans, and nourish the scalp and your hair. Just after the first wash, we noticed a decrease in itchiness and flakiness. We used it the recommended 2-3 times per week, which was definitely sufficient in doing what we needed. It deeply cleanses the hair while unclogging hair follicles and getting rid of any buildup from flakes. Now that you’ve taken a look at the best shampoos for dry scalp, have you found the best one for you? Perhaps you still have some questions or aren’t quite sure about which one is perfect for you, then keep on reading. We’ve taken it upon ourselves to write this buying guide, to make sure you’re selecting the best product for your needs! This is probably the most important aspect of purchasing the best shampoo for itchiness. First of all, you need to find out the source of it. For example, if the source of your itchiness is just a lack of hydration, then a shampoo designed to address psoriasis isn’t going to help you (most likely). In contrast, if you have a skin condition, then you can’t expect a purely hydrating shampoo to address that, either. This is actually one of the biggest reasons why many cannot seem to solve their scalp itchiness. So, before anything, make sure you know (or have a good idea) of the source of the itchiness or dandruff. If you can, go see a doctor who can help you with this. This is a bit more challenging when it comes to shampoo for dry scalp. This is because there are ingredients added to address the itchiness, not just to smell nice and hydrate the hair. This goes double if we’re talking about coal tar shampoos. 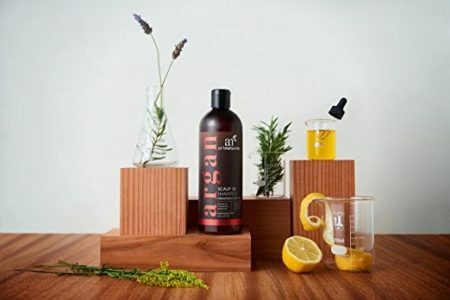 In fact, the only coal tar shampoo that smells pleasant is the ArtNaturals Scalp 18 shampoo. And even then, there is still the slightest hint of that tar smell that lingers. How much time are you willing to take to fix the problem? Are you able to wash your hair on a daily basis? If so, then you have more options available to you, as some require daily use. However, the good news is, that the majority of these products only require you washing your hair 2-3 times a week. Just remember to be consistent and follow the instructions! Think about this before you even start your hunt for the best shampoo for dry scalp. Think about how much you’re willing to allot for this product so you don’t get caught up and end up spending more than you wanted to. The great thing about these shampoos, is that they vary widely in pricing, and most of them are still pretty affordable. However, don’t only take the price tag into consideration. It’s also very important to think about how long the product is going to last you. Do you need just a dime-sized amount of product two times a week? If so, then great! You’re going to have quite a bit to last you a while. If we could recommend one thing in this buying guide, it’s to not skimp on the product quality to save a few bucks, because the truth is, the higher-quality products typically are going to last you a lot longer, thus saving you money in the long run. Now that you know pretty much all there is to know about itchy scalps and how to solve them with shampoos listed above, have you found the one you’re searching for? If you still haven’t, let us recommend the Nizoral Shampoo. It is definitely one of the most effective shampoos out there that is a non-prescription strength product. That being said, it is dermatologist-recommended and works quickly to address the source of itchiness and dandruff. In fact, this is one of many consumers’ favorites, as it was the first shampoo to actually eliminate their itchiness! The smell is one of the best on this list, and the scent is very fresh, natural, and light. The shampoo lathers very well, deeply cleaning hair, but also doesn’t have any parabens, which we love! You don’t have to decide on this one to get real results, though. You can rest assured that no matter which of these you choose, you’re about to receive one of the best shampoos for an itchy scalp on the market! Be sure to also massage your scalp with either tea tree oil or coconut oil!